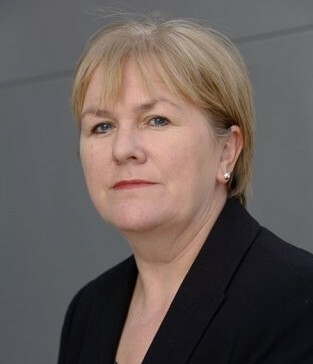 Scottish Labour Leader Johann Lamont MSP has announced the beginning of a conversation with the people of Scotland about the future of devolution. She is launching a wide-ranging consultation after unveiling the interim report by Scottish Labour’s Devolution Commission, titled Powers for a Purpose. Johann said: “This interim report provides a starting point for our debate about the future of devolution. “Now that the Devolution Commission has set out its findings, we need to open up this debate to the people of Scotland so that Scottish Labour can reflect the views of the majority of Scots who want to stay within the United Kingdom. “The interim report sets out a range of ideas and options that will allow businesses, the third sector, trade unions and communities to have a real debate about how we strengthen devolution if the people of Scotland reject independence. We want this to be a genuine dialogue that will inform our views as we move forward. “This will be a real debate about where power should lie to best serve the people of Scotland, so we will also look at devolving power to local government and our communities. I want to know where power can be best used to help create a better Scotland. I want to know what guarantees we are getting because the Labour MPs at Westminster seem pretty lukewarm on the income tax issue. Is there buy in from them on the devo commission ?